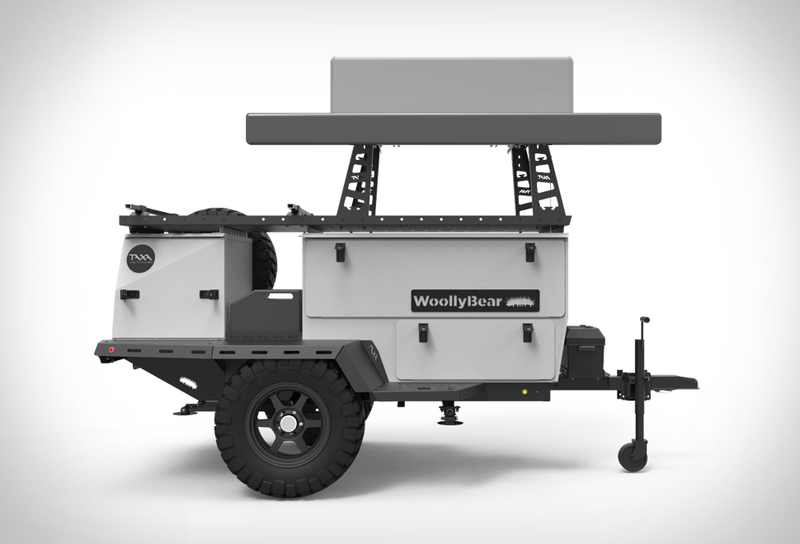 The compact Woolly Bear Trailer is a campers dream, it is rugged, light, easy to handle and can haul a whole lot of gear. 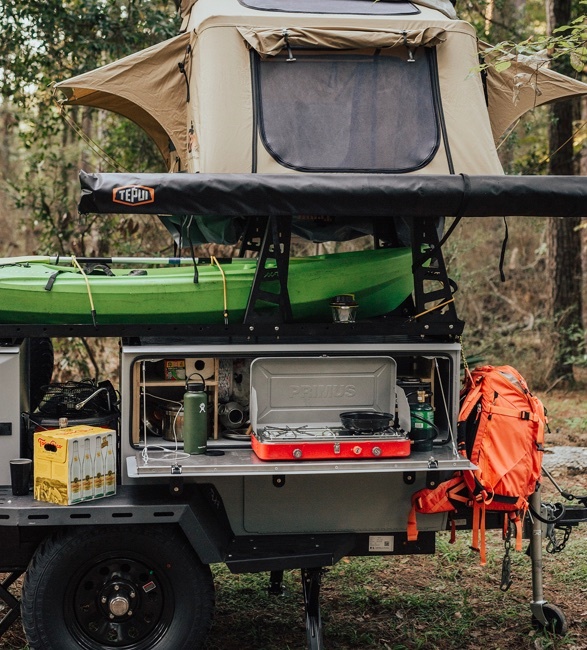 The main feature however is its extreme versatility, you may equip it with loads of different stuff, it’s basically a "template" that you can fill up with the stuff you need. 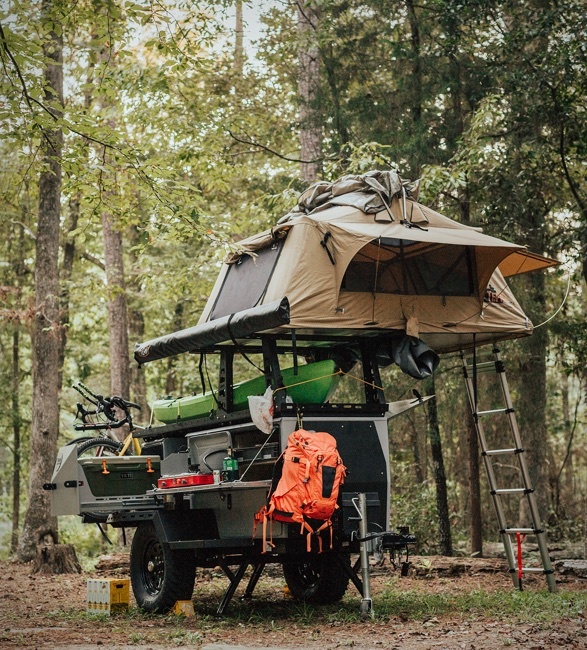 The trailer has around 10 feet of length and weighs around 900 lbs fully packed (around 600lbs of cargo possibilities) so it’s pretty manageable and easily towed. 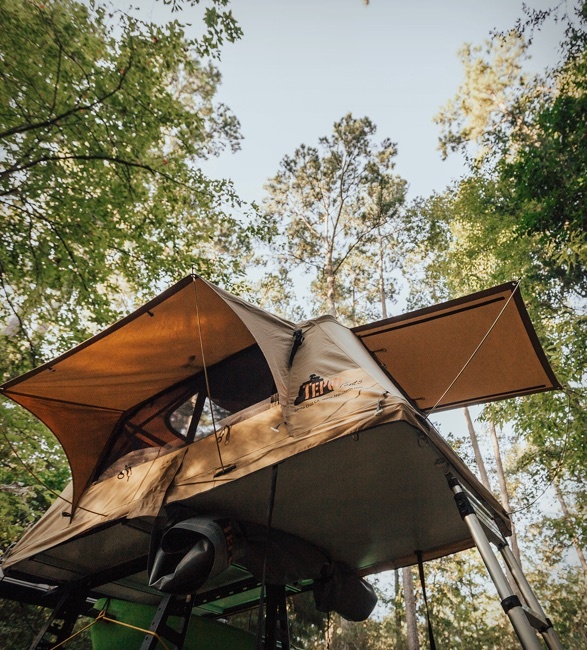 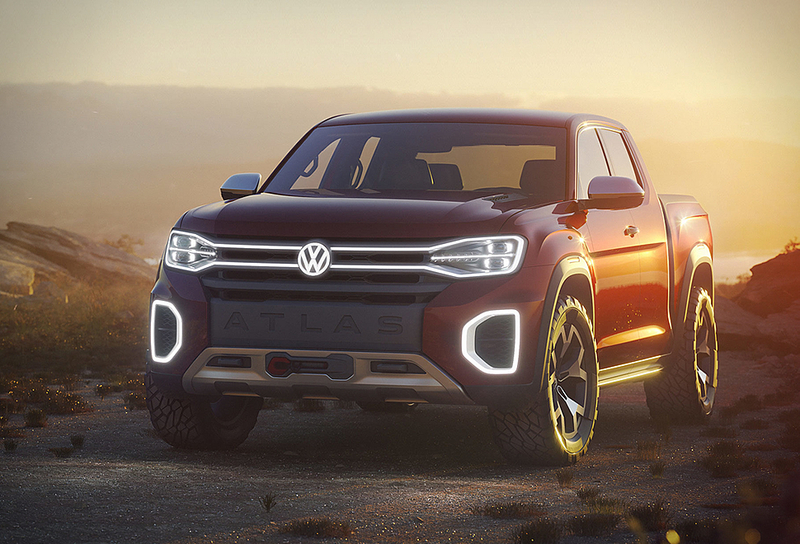 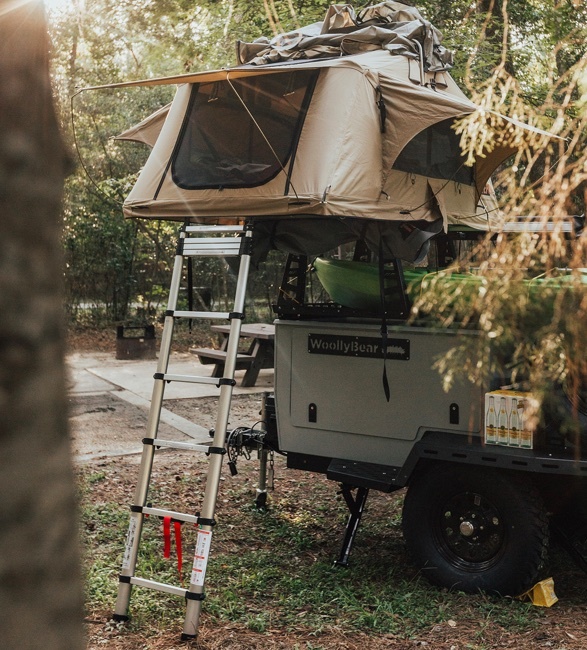 It features 15" wheels with rugged all-terrain tires, you also get a two person roof top tent so you may sleep in an elevated position, away from the cold, bugs or other critters. 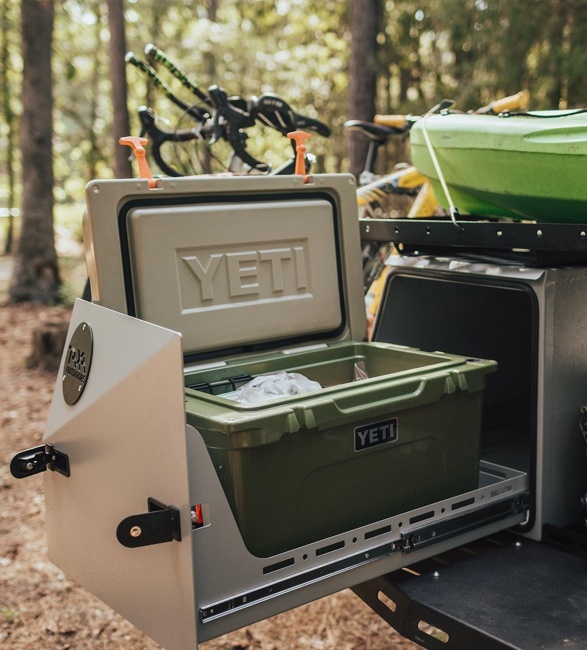 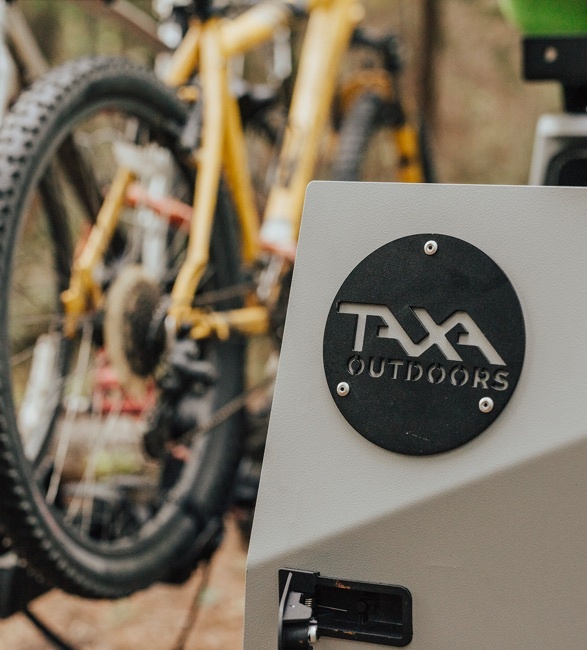 It also comes equipped with a full size camping kitchen, USB charging ports, a LED lighting system, a cargo deck that provides significant rack and stowage area for gear, bikes and boats, and many more options. 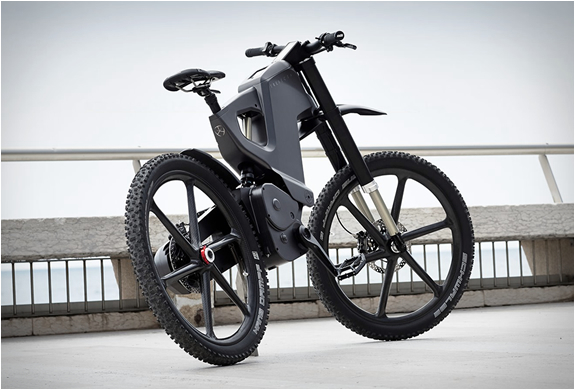 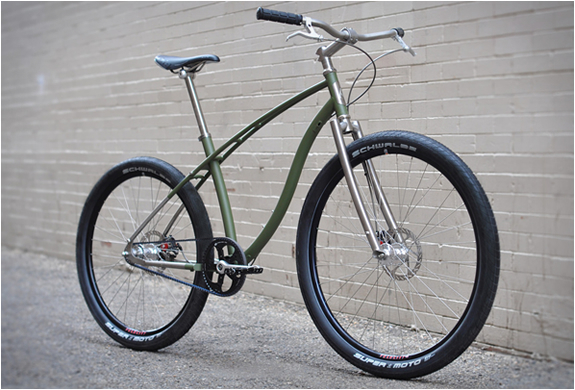 The powder coated gravel guards ensure it will last for several years of fun and exploration.